Beach View in Budle Bay, Bamburgh, Northumberland sleeps 6 people. With beautiful views over Budle Bay this exceptional single-storey holiday property, one of a pair, is situated on Northumberland’s highly desirable Heritage coast on the southern edge of Budle Bay in an Area of Outstanding Natural Beauty, famous for its bird life and popular with bird watchers. 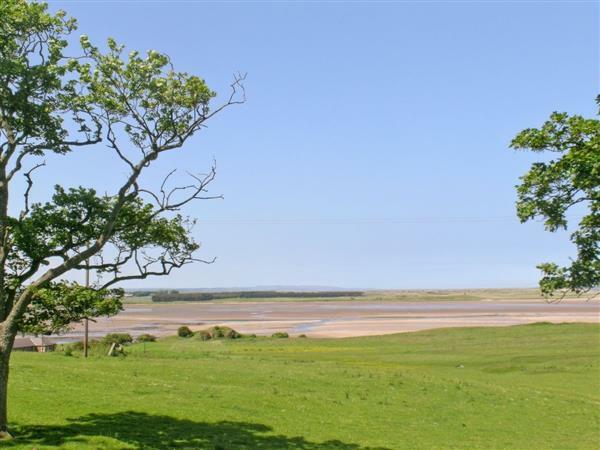 With large enclosed grassed areas surrounding the property, it is perfectly located to sit and relax whilst admiring the stunning scenery, and the beach is only 5 minutes’ walk away. This stone built home offers traditional, spacious and very elegant family accommodation with wooden beams and an open fire. It is ideally located to explore the beautiful unspoilt county peppered with small friendly villages, fishing harbours, hills and valleys. Bamburgh Castle is a magnificent sight, set high above the beach it towers over the small village and is only a few minutes’ drive where quaint inns, tea rooms and the Grace Darling Museum can be found. Three miles south lies the bustling little seaside village of Seahouses where boat trips can be taken to the Farne Islands to visit the grey seals and migrating seabirds nesting on the islands which are owned by the National Trust and maintained as a nature reserve. This whole area is famous for its many castles, golf courses and stately homes. Alnwick Castle, famous for Harry Potter and Braveheart films, with its enchanting water gardens, cobbled streets and Georgian houses is only half an hour south of Budle Bay. Inland head towards the Cheviots to explore wooded valleys and open moorland ideal for walkers, cyclists or motoring. Holy Island reached by a causeway at low tide and one of the oldest sites of Christianity in Britain, is a short drive (check the tides). Berwick-upon-Tweed with its ancient walls takes approximately 30 minutes, while Newcastle with its regenerated quayside, fine shops and theatre is 1 hour. An unspoilt county that will need to be revisited to appreciate all it has to offer. Shops 2 miles. Large beamed living room with open fire, views to Budle and doors to garden. Large beamed kitchen with breakfast area, Aga (for cooking), view to Lindisfarne Castle, tiled floor and door to patio with beach view. Three beamed bedrooms, each with views across the bay; one double with 5ft bed and en-suite bathroom with over-bath shower and toilet, one further double and one twin with zip & link beds. Snug/bedroom with double sofa bed (alternative sleeping only) and TV. Shower room with large walk-in shower and toilet. Do you want to holiday near Beach View (MUW), you can see other cottages within 25 miles of Beach View; have a look to find your perfect holiday location.